This is for my cousin who lost both his kidneys last year and has been undergoing dialysis every alternate day currently. He is the sole bread winner for his family of wife and 9 year kid. He is supported currently by few in the family circle for his monthly medical expenses but is struggling to make ends meet. 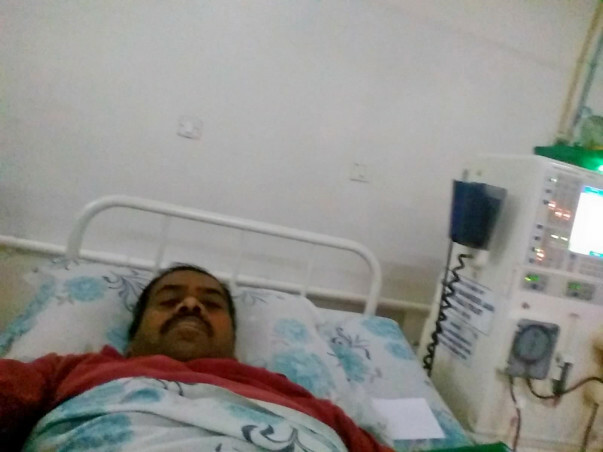 He needs to undergo kidney transplant urgently to extend his life ,and before he reaches an irreversible state because of the current haemodialysis he is undergoing where he is facing other severe side effects. Doctors have advised him to undergo a transplant as soon as possible. 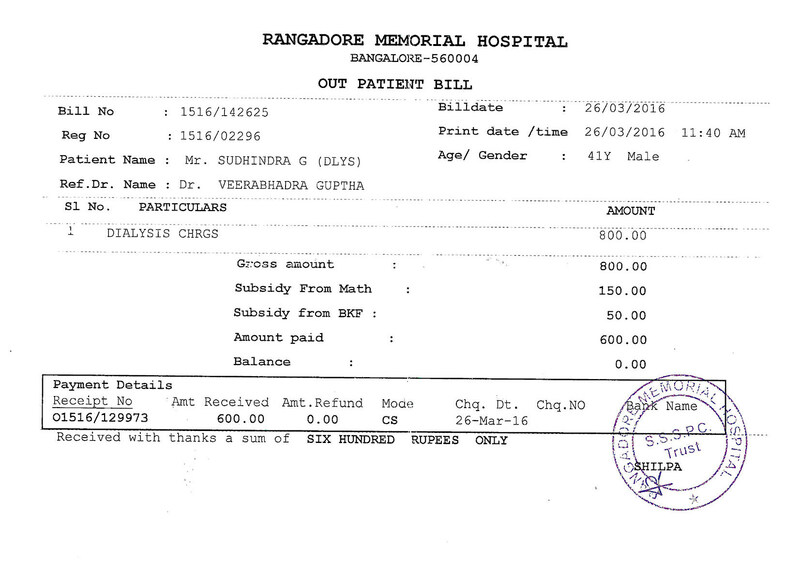 Sudhi seeks monetary assistance to get back on his feet. 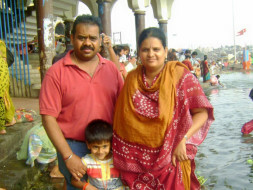 Sudhi has always been an enthusiastic character with a good sense of humor and liveliness, we request you to be part of his recovery so that he can wear that smile again. We will be delighted if we can garner enough support and assistance for Sudhi and help him and his family lead a normal life again. A great big thank you to all those who helped spread the word and all those who contributed in whatever way possible. 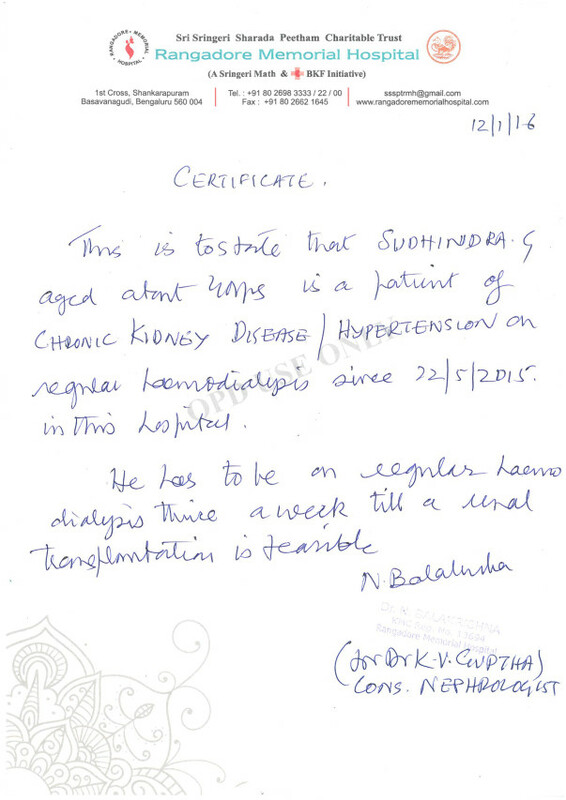 To update, Sudhindra is still under regular haemo-dyalisis. He found a donor who was not a blood relative but we were not able to push through with the approvals as the donor was not related to him. 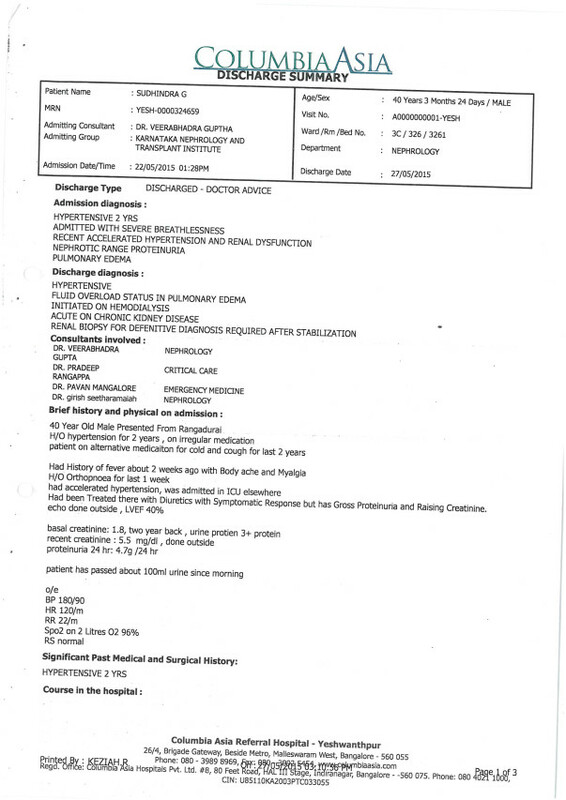 His wife is currently undergoing tests for compatibility and will be eligible to donate her kidneys once we have the approval. I shall continue to update on the progress. Once again , thank you for all the empathy and contribution.